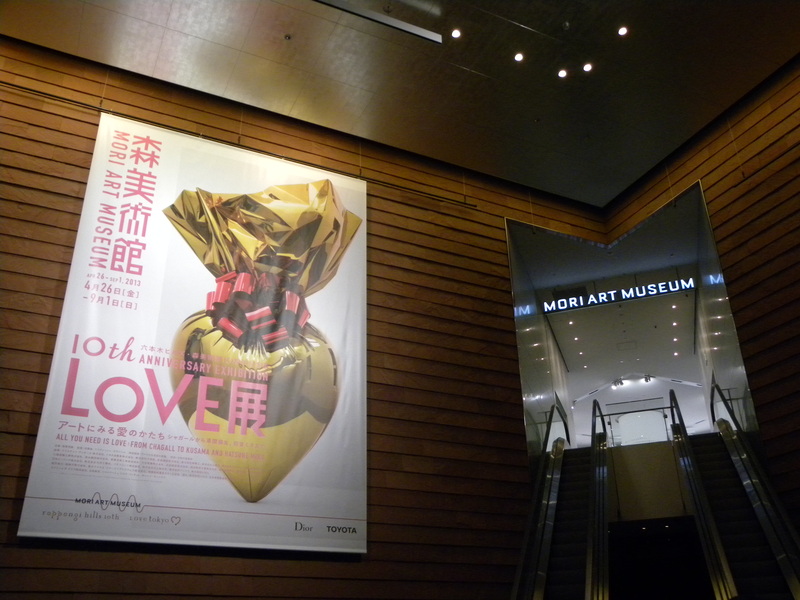 In celebration of the Mori Art Museum’s 10th anniversary, they’ve put on the highly anticipated exhibition LOVE展. The exhibition features a long roster and wide variety of world famous artists including names such as Jeff Koons, David Hockney, Yayoi Kusama, Marc Chagall, Damien Hirst, Salvador Dalí, and Auguste Rodin to name just a few. Highlights included this wonderful installation entitled Love is Calling by Yayoi Kusama in her usual ultra cool, psychedelic polka dot world. All that was missing was some music and perhaps a flashing LED light dance floor and I was ready to get my groove on disco style like in the movie Saturday Night Fever (1977) with John Travolta. It’s an exhibition well worth a visit but if you’re anything like me the featured Tracey Emin work might just put a slight damper on your visit. I’m usually not a Jeff Koons or Damien Hirst fan either due both to their choice of artwork (think the Jeff Koons series the Pre-New, the New, and the Equilibrium, Made In Heaven series and Hirst’s formaldehyde animals, dot paintings and to be frank his entire career) and the factory set-up of their studios. 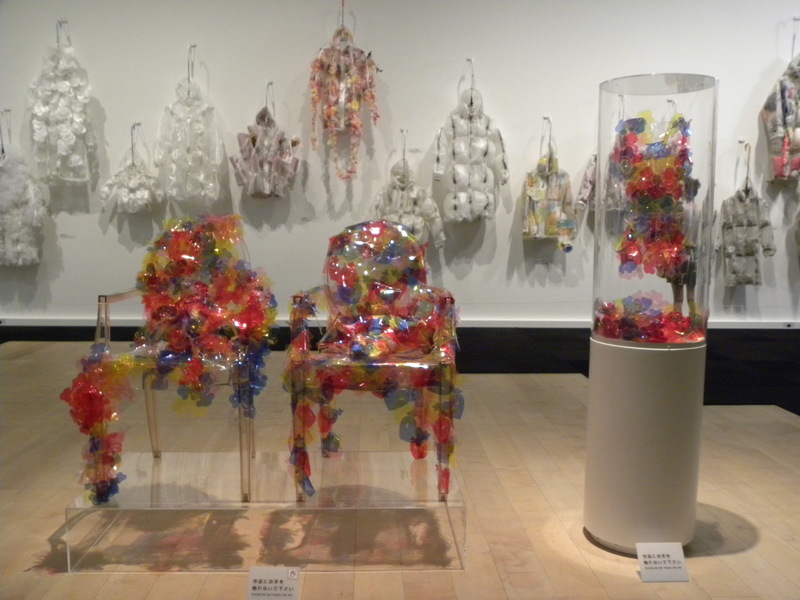 This entry was posted in Art, Culture, Exhibition, Mori Art Museum, Museum, Museum Exhibition, Tokyo and tagged Art, アート, ジェフ・クーンズ, マルク・シャガール, Culture, Love Exhibition, LOVE展, Mori Art Museum, Mori Art Museum Love 10th Anniversary Exhibition, Tokyo, Travel, Yayoi Kusama, 六本木ヒルズ, 展, 森美術館 by linneabylinneanilsson. Bookmark the permalink. Looks a fun exhibition. Have to agree with your comments re Koons and Hirst. Never quite sure why it’s considered art. 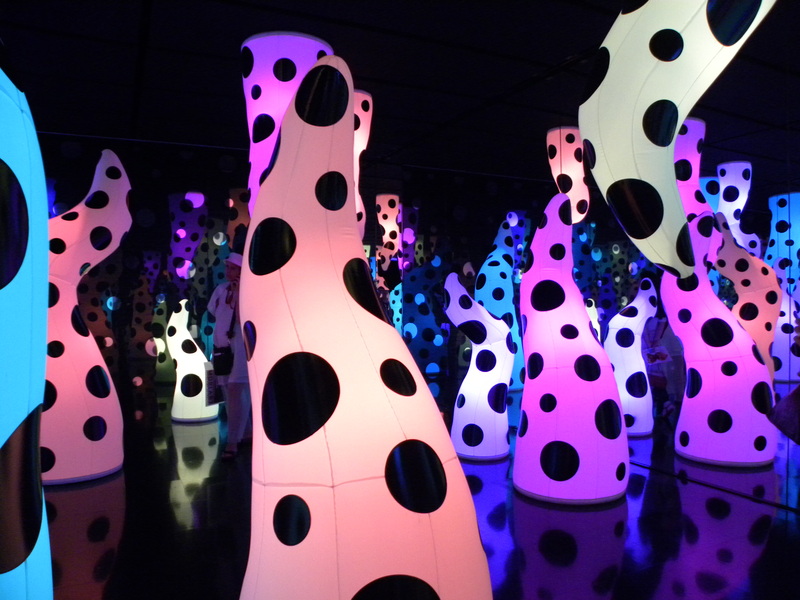 Kusama’s work looks really exciting! Yes, time for disco shoes!